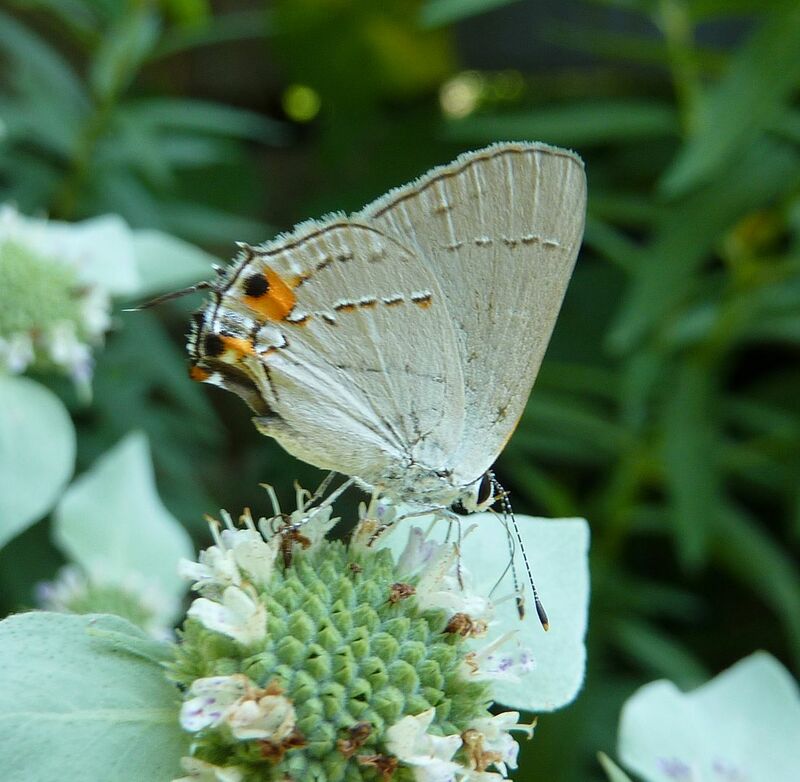 About a month ago the honeybees and bumblebees lost interest in the Mountain Mint, Pycnanthemum sp. presumably to take nectar from bigger and better things. 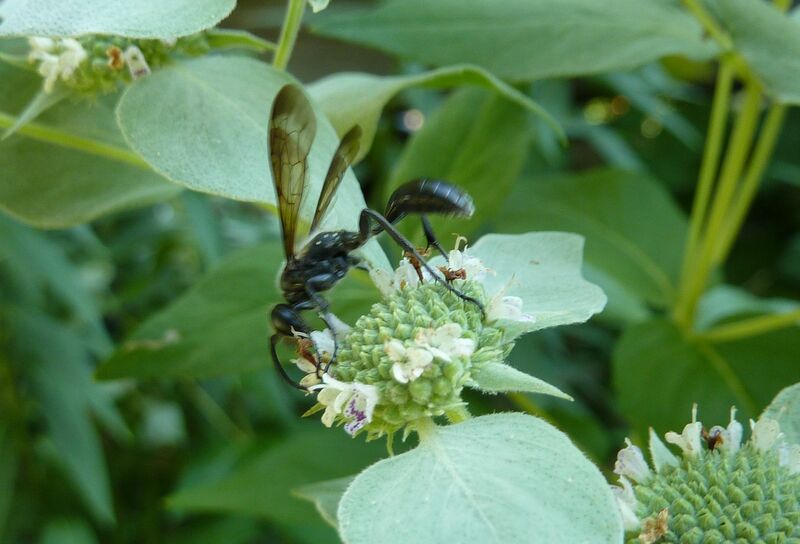 In their absence some of the more obscure pollinating wasps have taking their place. 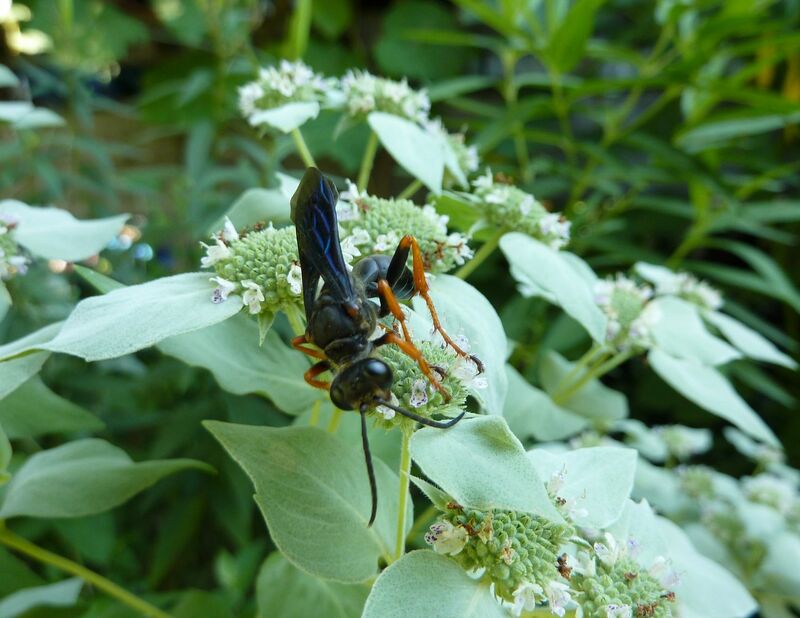 A lot of these wasps refuse to stay still for pictures so a short video was needed to capture them in action. The rather colorful stripped scoliid wasp was the only that I couldn't get at least a decent picture of. Others were more cooperative. Mud Wasp of some sort. Summer Azure of some sort. Another plant I've seen some of these on was the Rattlesnake Master, Eryngium yuccifolium. Last year I had four of them, but only one has come back. 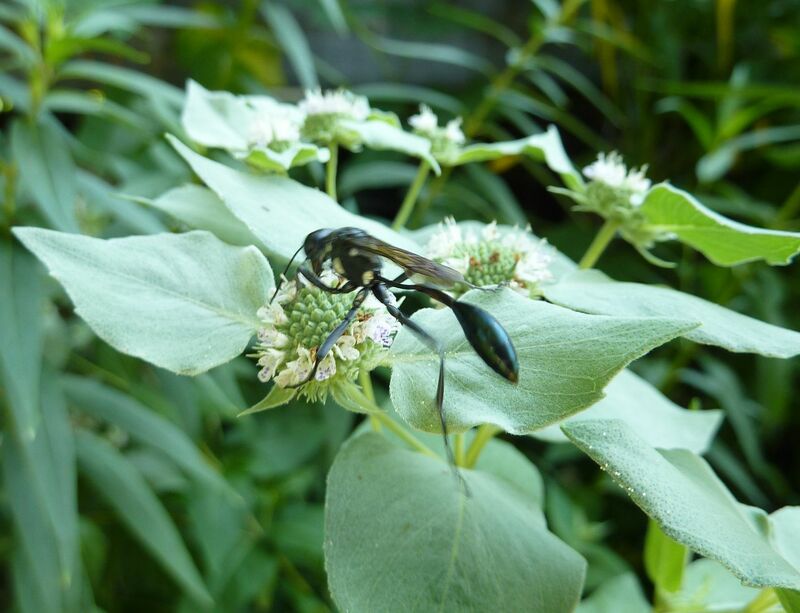 I have seen the longer of the two thin dark mud wasps on other kinds of mint as well. I have observed wasps (mud, paper) landing on my bushes and either carrying off, or chewing up, my early instar silk moth caterpillars. The caterpillars make a good protein source for the wasps and their larvae. Beware! I have had zero problems with the parasitic wasps though. Are Prairies Practical to the Average Joe?